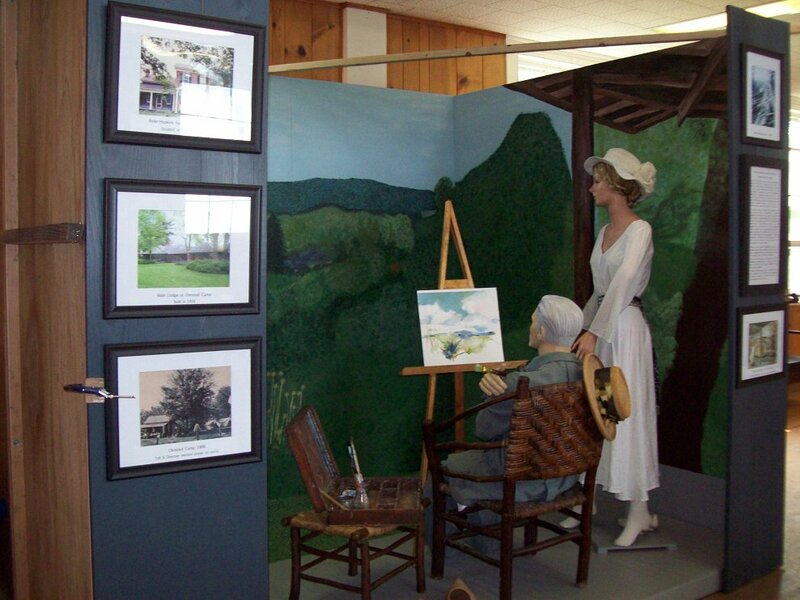 Photos of the Sardinia Historical Society’s exhibit for this year’s Hamburg Fair re. Olmsted Camp’s Centennial. There will be “text” telling the story on side-boards. 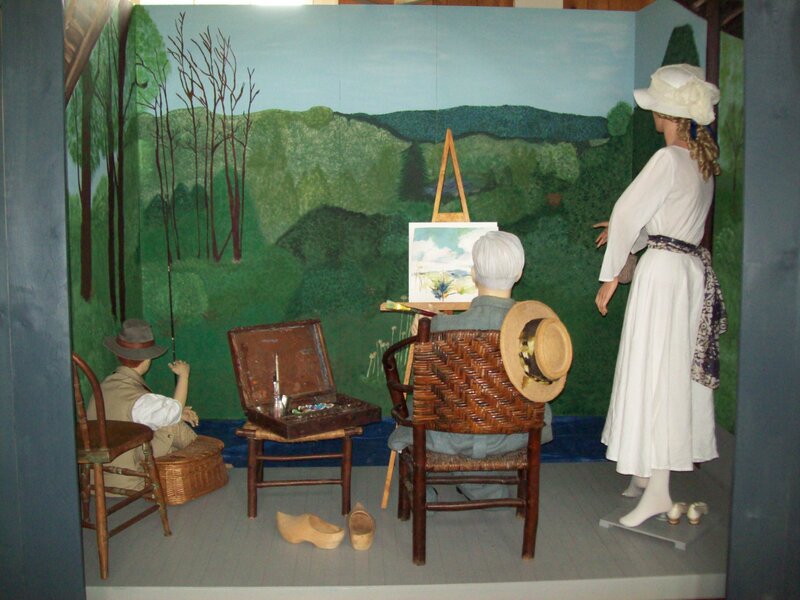 That’s HLO painting a picture of the view off the veranda with Marguerite (his sister-in-law) observing. The little mannequin fishing was supposed to be JBO . . . maybe he will be, by the time the display is finished. Only thing missing is a Gloucester hammock! I recall as a youngster, seeing Harold Olmsted at the camp during the summer months. I also knew him when I lived in Springville as he had a home on the hill on East Main Street. Always a colorful character, very unpretentious, clogging down the sidewalk in wooden shoes. I believe many of the camp visitors came from Ohio. I also remember Grampa Omsted, as we called him. He taught my Mother art as a student of the adult art class in Springville. And then there were the Nephews Jerry and David who my folks got to babysit us on occasion and countless trips to the farm. Don’t want to get David in trouble but he let me learn to drive a “stick shift” at the farm using Pete Rileys MGB. A wonderful family. Why is it we often fail to recognize our good fortune at the time we are living it?? Thanks for everything. Tim, weren’t Jerry and David the twins? I remember Harold Olmsted as Grampa Cotti.